Yamakei is a residential development in the heart of Niseko Japan. Developed by the Nisade group, this development is marketed as both a holiday home and investment grade properties worldwide. 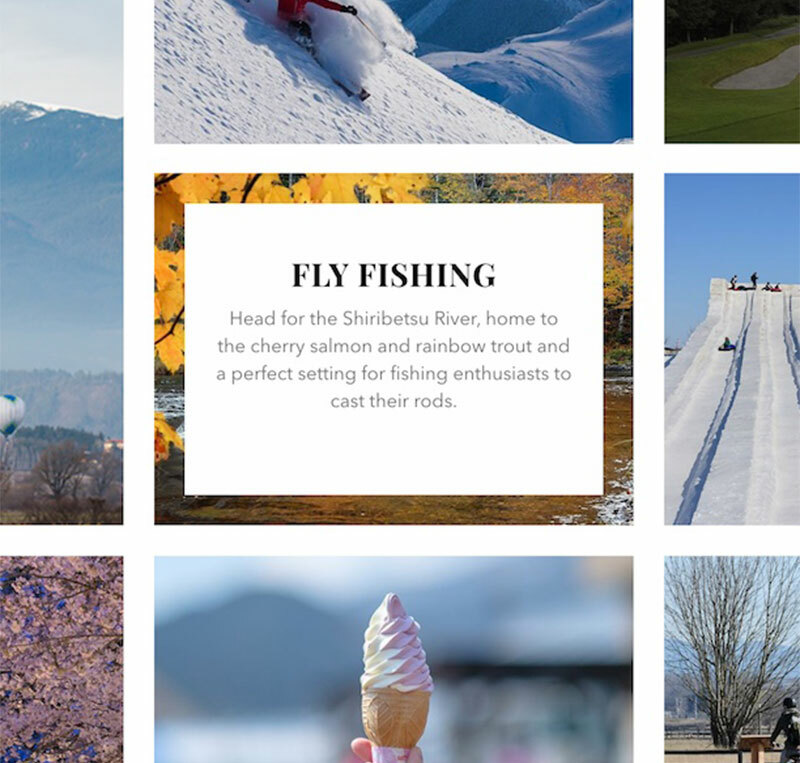 We worked with a branding agency to craft a story that truly embodied the beauty and majesty of Niseko, the world renowned winter setting of the development. 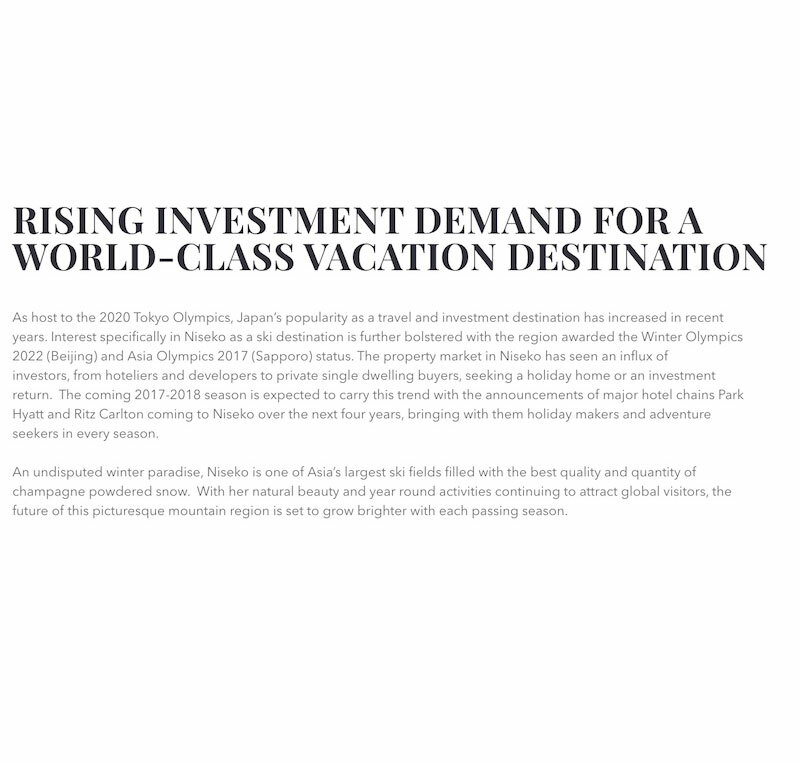 With a focus on the activities across the seasons and their signature concierge services, we crafted an experience that takes the reader straight into the heart of the Niseko experience, a paradise home.